Welcome to the School of Dentistry at the UT Health Science Center San Antonio! The School of Dentistry accepted its first class of students in 1970 and rapidly rose to a level of national and international distinction. For more than 45 years, we have graduated top oral health care professionals, conducted pioneering research, and successfully treated tens of thousands of patients in San Antonio and across South Texas. Our School of Dentistry offers state of the art clinical facilities in our newly opened Center for Oral Health Care & Research, scientists collaborating with clinicians and research teams worldwide, and students dedicated to achieving excellence in the field of oral health care. With your help and continued support, we can continue to make lives better. In 2014, the Feingold’s gift of support to the School of Dentistry’s new Center for Oral Health Care & Research and this world-class center will feature the Dr. Jeffrey P. and Barbara S. Feingold Atrium. The Feingold’s generosity will support the school’s 45-year tradition of delivering first-class patient care, research and education. Proud Texan Shane Epperson joined the Navy in 2005 as a petty officer second class. In 2006 he met and befriended Petty Officer Brian Chase. In April 2009, while deployed in Afghanistan, Chase received tragic news, Epperson was killed. He was only 21. Chase wanted to channel his grief into something meaningful. Just one year ago in, September, faculty member and Class of 1980 alumnus David Cox, D.D.S., set a mammoth goal for himself and his colleagues in the School of Dentistry’s Department of Comprehensive Dentistry. Their aim was to raise $100,000 to name the third-floor patient waiting area in the school’s new Center for Oral Health Care & Research. Alumni engagement has made an enormous impact on the school’s success today and in its future. Amjad Sheikh, D.D.S., Class of 2002, is one of those proud alumni. 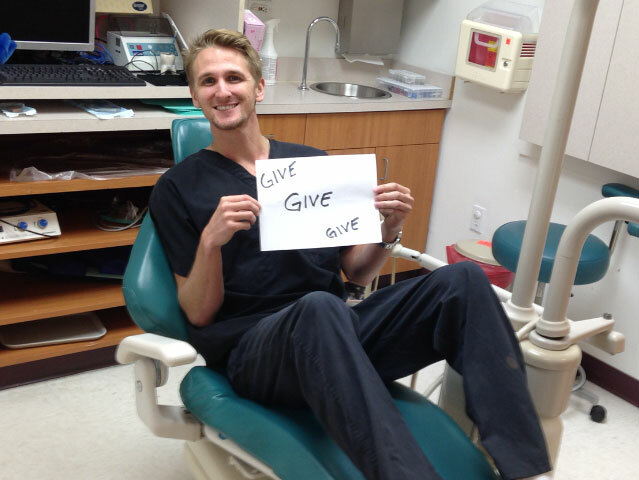 This year, he made a gift of $100,000 to support the construction of the Center for Oral Health Care & Research. Oral and Maxillofacial Surgeon Carl Gassmann, M.D., D.D.S., ’90, was overjoyed when his daughter, Olivia, was accepted to the School of Dentistry at the UT Health Science Center San Antonio in 2013.